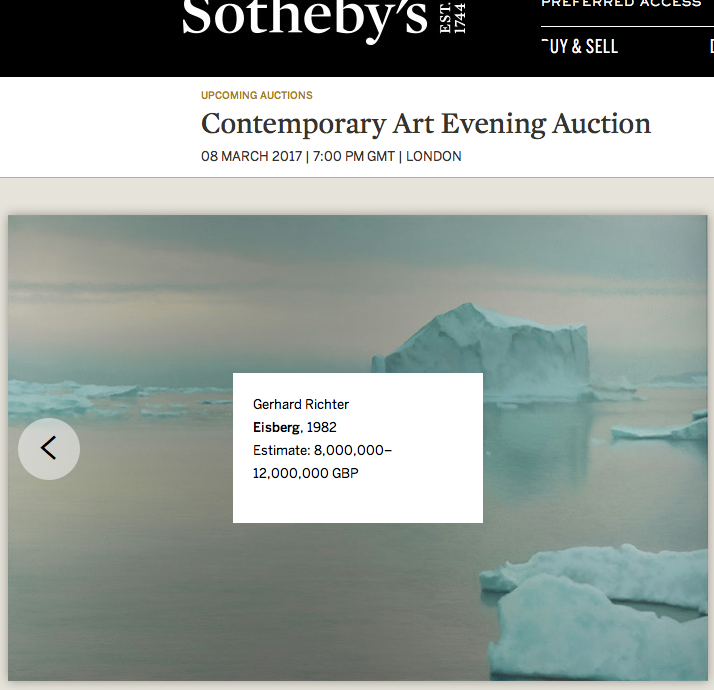 Prêt à débourser 10 à 15 millions d’Euro pour une peinture d’icebergs en vente publique chez Sotheby’s? « … This extraordinary painting is utterly captivating in its desolate serenity. 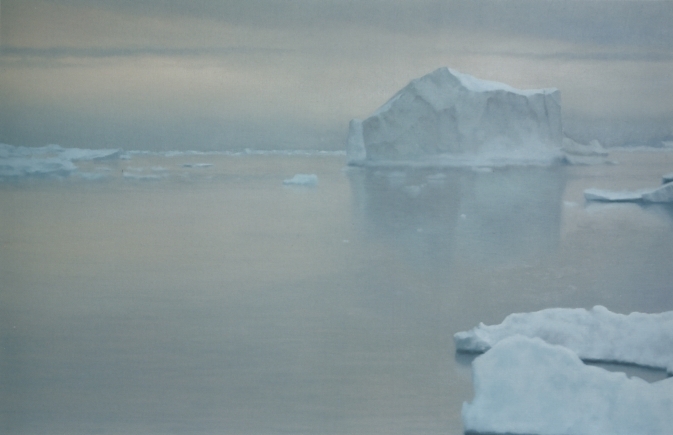 Characterised by a monolithic shard of forbidding ice, and executed in a perfectly balanced atmospheric spectrum of icy, arctic hues, it exemplifies Richter’s career-defining series of landscapes. It is the largest of his three works completed on this subject.